I've been busy stamping using a wonderful plate and stamping polishes from MoYou Nails. This is plate number 222 and I've used 3 of the 4 patterns together with MoYou stamping polishes in black, red, light blue & lilac. 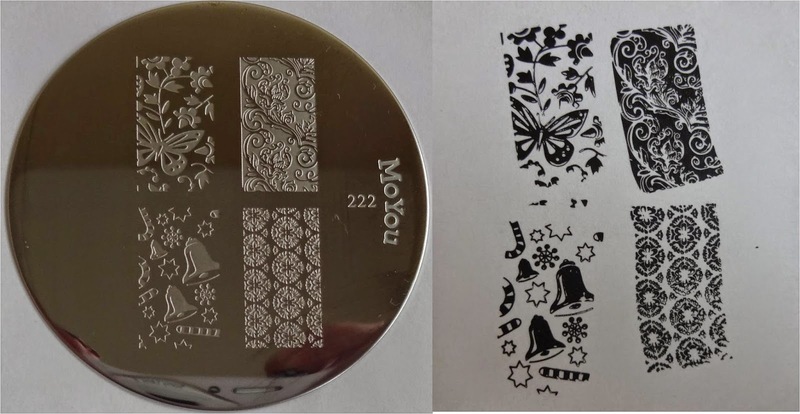 Lovely images and no probs what so ever using the plate or stamping polishes. 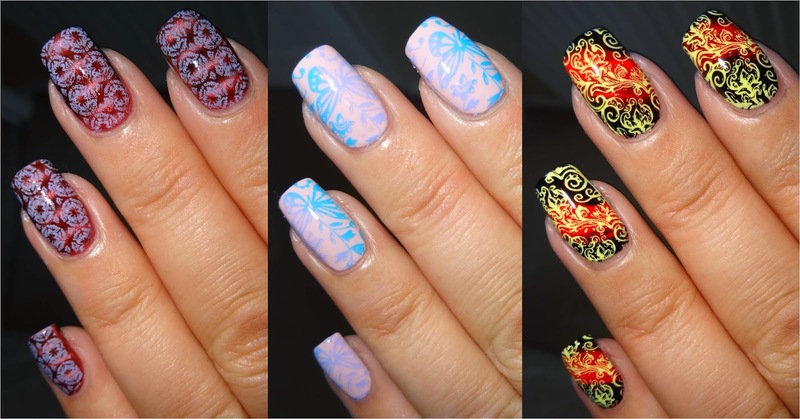 The stamping plate is £4.99, the stamping polishes are £4.99 each or 3 for £12 or 5 for £19. Check out my video below. Update - Nov 2014 - Now the festive period is upon us I've used the 4th image on the plate, the Christmas bells, snow flakes & candy canes using MoYou Gold stamping polish. P&P is FREE (within the UK) when you order over £34.99.